The son of legendary boxer Muhammad Ali was detained by immigration officials at an airport in Fort Lauderdale, Fla., according to a lawyer and family friend. Chris Mancini told CBC news that the 44-year-old and his mother, Khalilah Camacho-Ali — the second wife of Muhammad Ali — were both questioned at Fort Lauderdale-Hollywood International Airport after arriving from Jamaica Feb. 7. "Both of them were asked if they were Muslims," said Mancini. Officials questioned Ali Jr. for nearly two hours, repeatedly asking him, "Where did you get your name from?" and "Are you Muslim?" 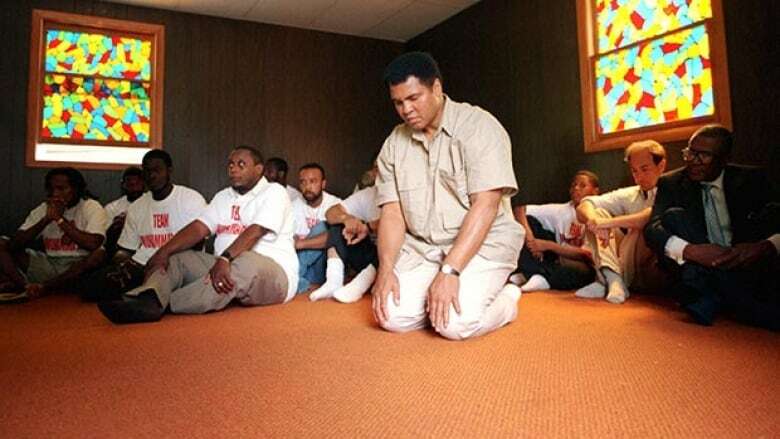 Mancini said officials continued questioning Ali Jr. after he acknowledged he was Muslim. Ali Jr. was born in Philadelphia and holds a U.S. passport. His mother was detained about 30 minutes, said Mancini. "She had on her person a photograph of her and her late husband, the champ," he said. "She had to talk her way into being admitted into the country, even though she's born, raised and carries a U.S. passport." "Needless to say, the Alis are upset about this, shook up. It's never happened to them before," Mancini told CBC News. "They completely are convinced this was only because of their religious faith." Mancini, a United States prosecutor during the 1980s, said the justice department "would not have even thought of doing something like this" during his time. "It's absolutely, based on my many years of doing this, an offence to me that the United States government has sunk this low. That just flies in the face of the bedrock principles upon which this country was founded." But Mancini said he believed the incident was "part of a profiling program that the customs and border patrol have been ordered to implement." "My personal opinion is it is connected to President Trump's attempt to ban Muslims from the United States."